It is a tough set. At one point I knew a few other people working on the whole set. The Ryan and Henderson are tough because of player collectors, but not the hardest to find in all Blackless ( no gray ). The A sheet cards are the easiest. When I was building the set the theory was C sheet cards were toughest. But Bs can be pretty hard as well. Last edited by ALR-bishop; 06-27-2016 at 08:10 AM. 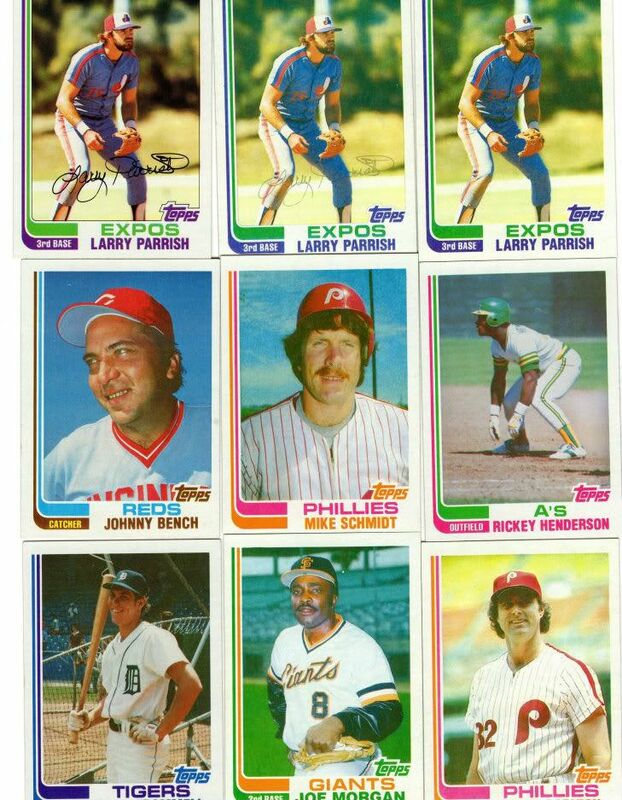 I am 100% sure I pulled a blackless fisk all star from a wax pack bought at mr. Food in Wyomissing PA in 1982 when I was 10 years old. I remember it like it was yesterday. It was the only one I have ever owned. I sold it to a Fisk collector when I was a full time dealer around 1997 or so. Last edited by glynparson; 06-27-2016 at 08:35 PM. Just a suggestion, I bought a George Brett PSA 9 that was graded very early by PSA and was not labeled "blackless". Sent it in and had it relabeled. You might keep an eye out on major players. Yea PSA has screwed it up the other way too unfortunately... Look at this pop 1 Brett. I was offered from a seller and almost bought it from looking at a pic on my cell phone. But it is clearly not Blackless. But it is clearly not Blackless. Yep, I'm no expert on colors, but that looks like black to me. I heard about the 10. Guess someone was color blind that day. I too have a 9 and the population report still shows one 10. I sent PSA the pic/cert number but they wouldn't delete it as the highest graded. That's funny. I think the only All Star with a sig. was the George Foster which was obviously an UER. I think it was uncorrected. It seems so obvious but hey that's graded cards for ya. The Brett is currently at $46. 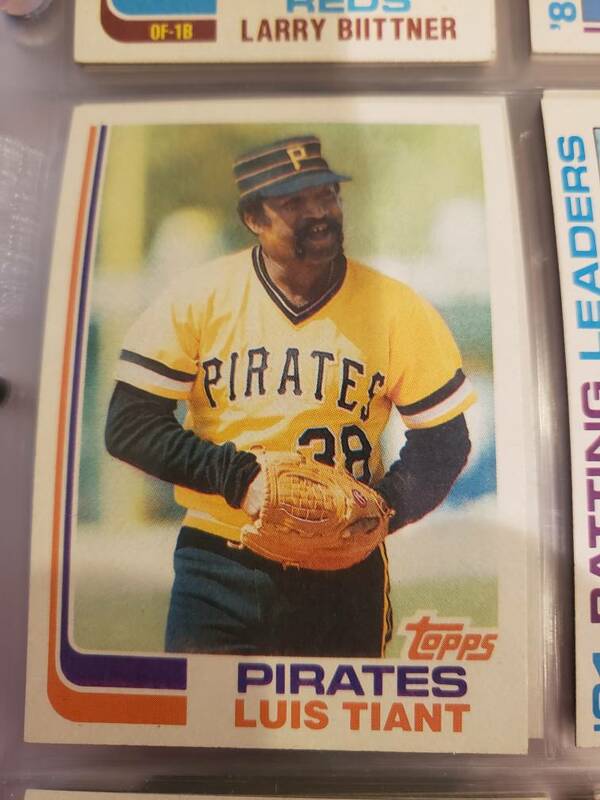 What is the going rate for a normal PSA 10 1982 Topps George Brett All Star card, which is essentially what this card is? VCP is $23.78 for the non blackless...no doubt this auction will end much higher. Wow, I have been a card collector since 1979 but never heard of the Blackless cards. I need to check to see if I have any. I love this forum. You learn something new everyday. It's been reported to Brent multiple times that this card is a mechanical error. He should save face, pull the listing, and send it back to PSA. I just reported it to him as well. My faith in a seller tumbles the longer situations like this are allowed to continue, so I hope for Brent's sake that he removes the listing soon. Thank you for reaching out about this. We are having our team look into this and will take action on it shortly. Thank you! It is probably a lot rarer than an actual Blackless version and might be of more interest to a unique Brett collector. Last edited by ALR-bishop; 07-06-2017 at 09:34 AM. 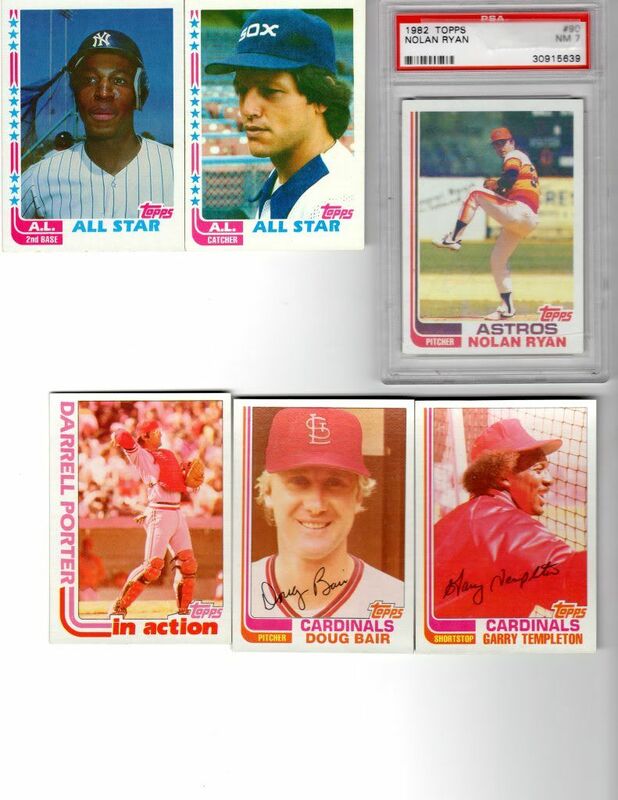 I am a Cardinals team set collector as many of you know. I am of the opinion that these are print defects and I don't include print defects in my collection. I am sure I am in the minority on this. Can some one explain why these are not just considered a print defect? 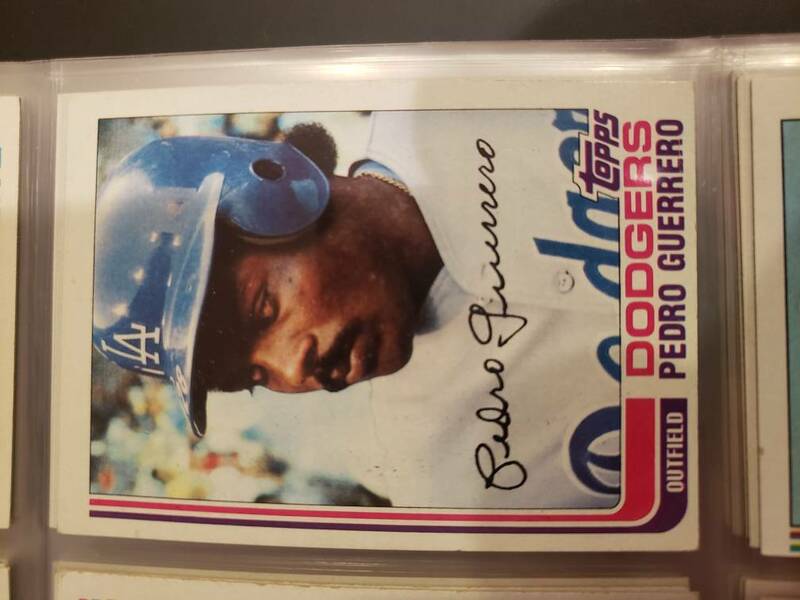 And if there is a recurring or even one time oddity on a star card, player collectors sometimes have to have it. 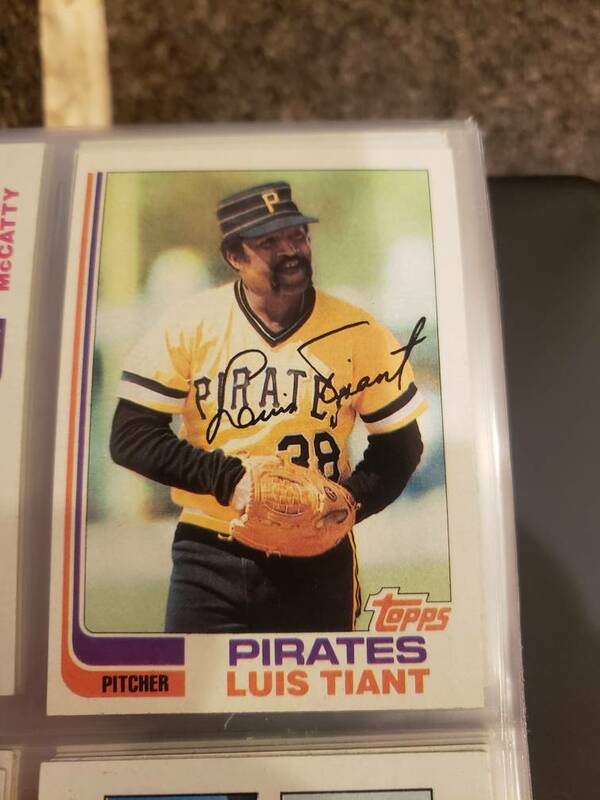 I do agree that this card should not be sold as a Blackless card, but rather as a rare Brett error card. So.... Reoccurring is the key word. I don't have the print defect illness, but I do have a chronic, though not debilitating, Cardinals team set illness. notified and so has the seller. I have sure lost respect for this seller, hope he makes me change my mind and does the right thing. They are print defects but they very rare print defects. I collect them because I'm a Mets completist. 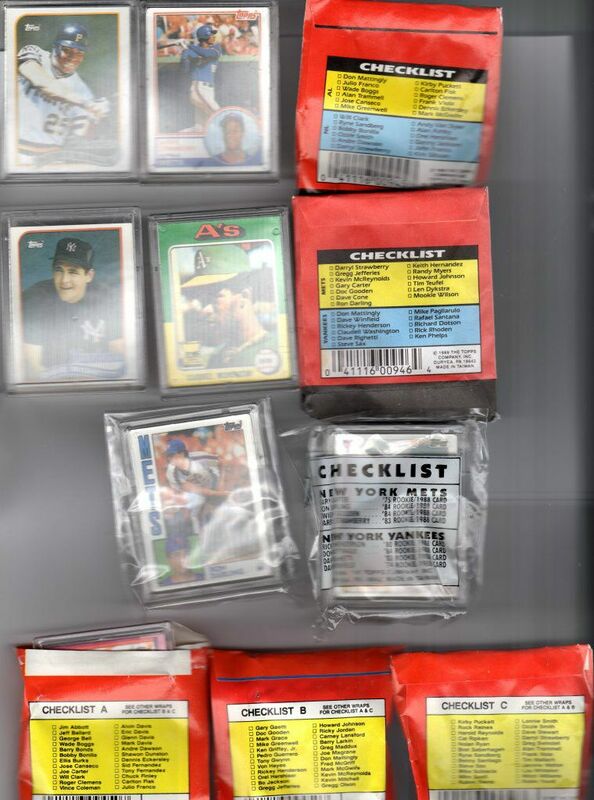 Of all the 1980's hard to find stuff (1985 Minis, 1988 Cloth, 1989 Heads Up, 1984 Encased, etc) these have been the hardest, I've been collecting them for about 2 years and only have 1/2 the Mets team set. 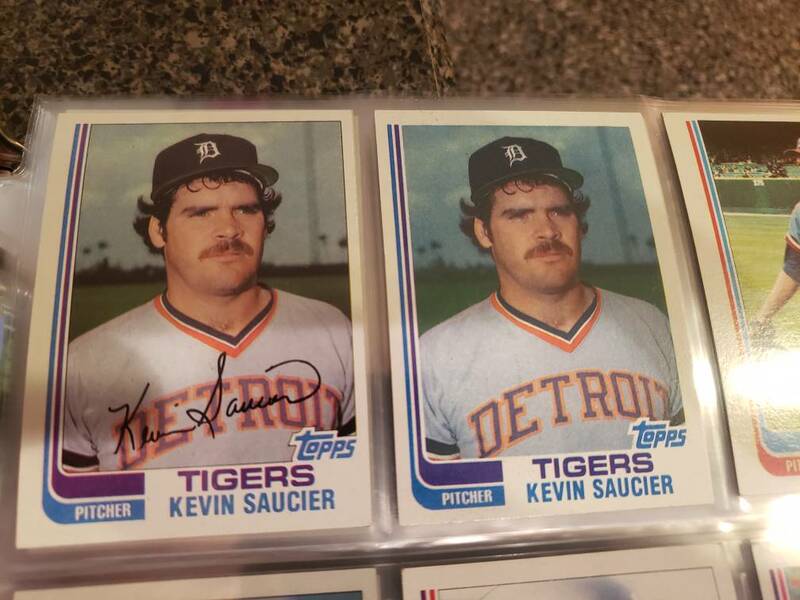 The 1982 Blackless set gained recognition after being listed as a separate set in the SCD Standard Catalog. I assume they did that because the defect is scarce, but occurs on 396 cards from the entire set, and despite the defect, was distributed in packs at retail. Last edited by ALR-bishop; 07-08-2017 at 10:55 AM. 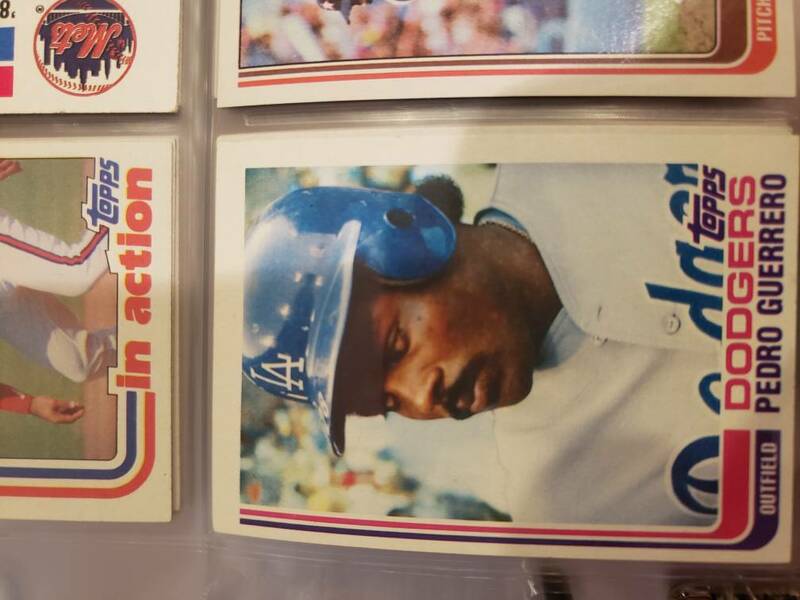 Al, are you referring to the ones with the 1988 Topps card? 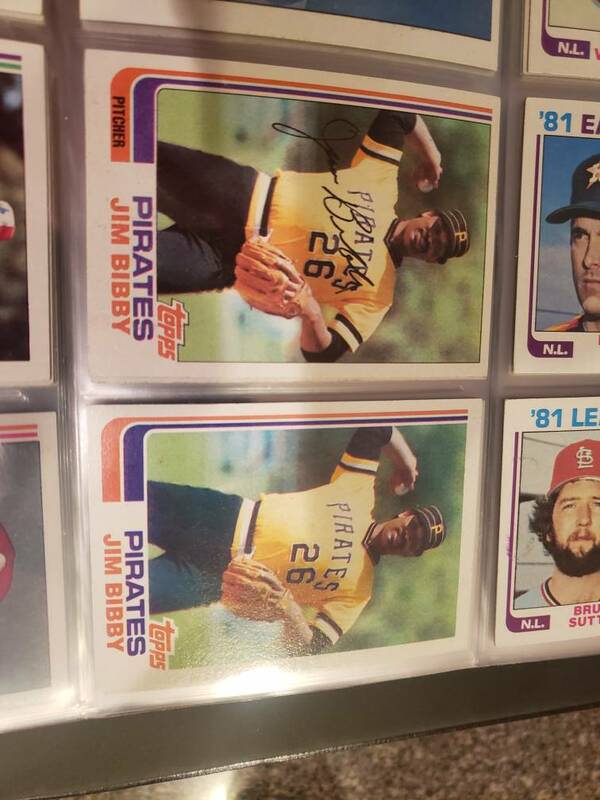 Jim---I am in general agreement with you on tough Topps issues from the 80s. 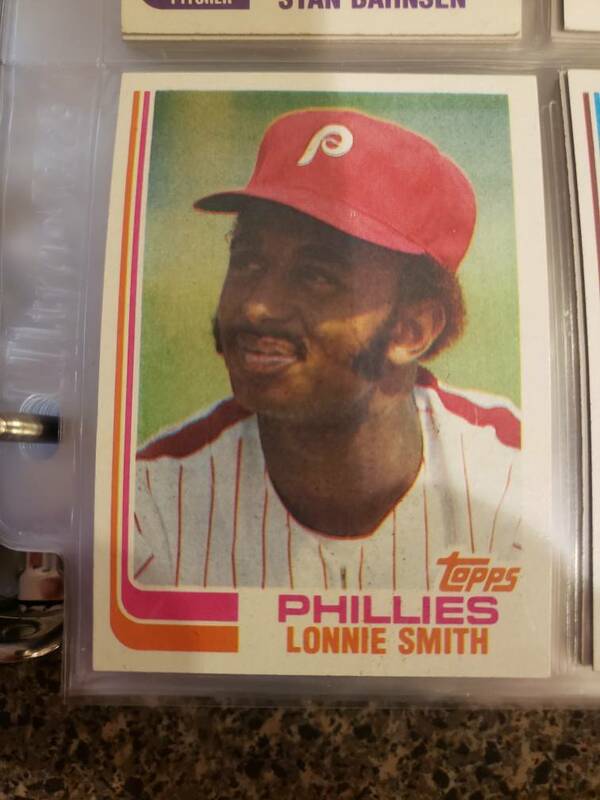 For me the 82 Blackless, 84 Encased, the 85 Minis ( blank and regular backs), 88 Cloth and 89 Big Sucker Heads were all tough. Well it looks like PWCC did the right thing and pulled the listing from eBay. Hey Al, you know I love the test sets and 85 is my favorite of the 80s by far. The variations are why I love it. 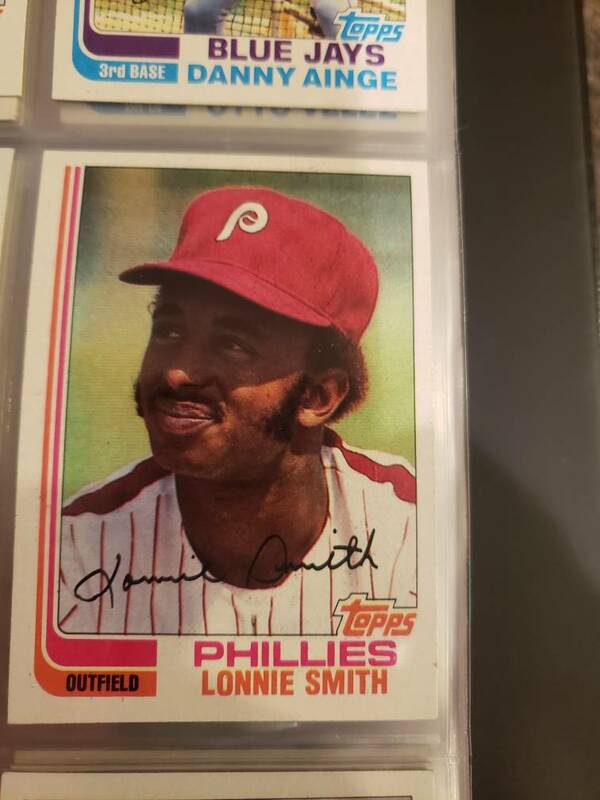 I have examples of the full stats, blank vanilla, blank tan, the Acme and Fuchs prototypes that TATSR bought in the golden auction in 15 (and I still want that Jim Davenport I begged for a couple times,lol) but have not picked up a red print back yet. Did you complete any of the variation sets? Reviving an old thread here. I didn't even know these existed until 2017 or so. I have a couple dozen, but I don't have any of the big ones yet. These are some of the cards I have picked up more recently along with the standard 82s for comparison. 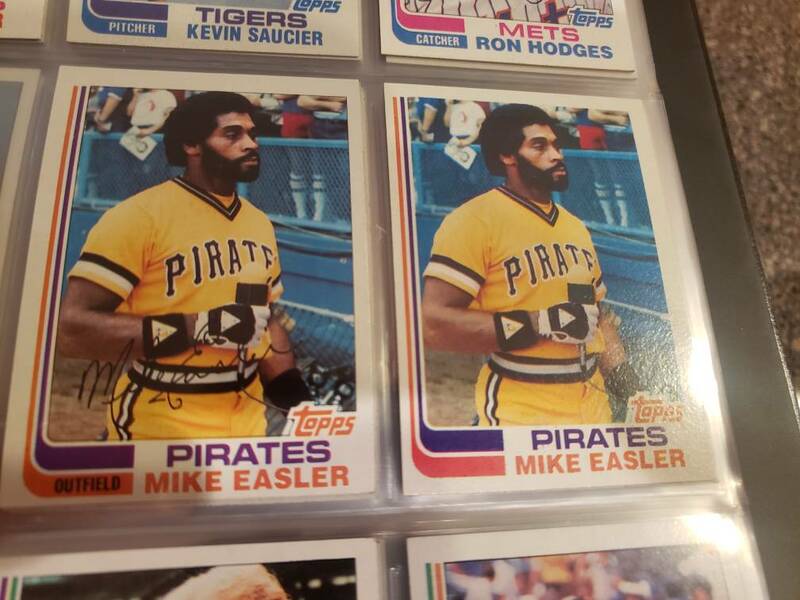 It's weird, but I am really getting into these and also am starting to notice the '84 Topps encased. All these years I didn't realize there was so much fun and affordable stuff in my favorite decade to collect!